The Mark of the Beast or the Mark of God: Which One Does Your Life Reflect? Although most people have heard of “the Mark of the Beast,” very few have heard of the Mark of God. Yet both marks are discussed in the Bible, and both marks are placed on the forehead of the recipients before the outpouring of God’s judgment. Although they have these similarities, they also have their differences: one is a mark given by the Anti-Messiah (or Anti-Christ), and the other is given by God. So in this article, I want to first discuss “the Mark of the Beast” and then “the Mark of God,” as well as the attitudes that these two marks represent. There are those who speculate that the “mark of the Beast” prophesied by the Apostle John (Yochanan) in Revelation 13 is either here in the form of the new RFID microchip that’s being inserted into people or it’s right around the corner. But why will so many people accept the mark? I believe it’s because what it represents most people today have already accepted, including its attitudes towards life. What does it represent? What attitudes? What mindset do people have today that will make them susceptible to accepting this mark? The Beast shall be worshipped. The Beast shall proclaim himself to be god. Notice that although the rider has “a bow,” there’s no mention of any weaponry. Also the “crown was given to him,” he did not acquire it through warfare. As a result, the traditional interpretation of this prophecy is that this rider on the “white horse” is the Anti-Christ, who will rise to power through diplomacy, for through it he will go “forth conquering, and to conquer.” He is also the first of the four horsemen of the Apocalypse. Although there are many people in the world today who have not physically received the “Mark of the Beast” in their forehead or in their right hand, they have accepted and are living right now His attitudes and beliefs in their day-to-day lives. Consequently, when the Mark does become available, people will not have to be forced to take it because it will represent a mindset and belief system that they already embrace. What is this “Beastly Belief System”? These are attitudes and beliefs that many people in the world today, including the majority of Americans, embrace as their ideals in life. The one consistency we see in all of these attitudes and beliefs is that they exclude God and His Son, the Messiah Jesus (Heb. Yeshua). The problem with this attitude and belief is that it is in direct opposition to what is taught in the Scriptures. The Bible teaches us that God so loved the world that He sent His Son to die for us, and that through His death, He “redeemed” (or “bought” or “purchased”) us with His own blood, and He freed us from the slavery of sin and death, so that we could be “servants of righteousness,” freely serving God now as part of His Kingdom. So what’s my point? In a monarchy or kingdom, the King owns everything within His Kingdom. Throughout the Bible, God is seen as “the King of all Kings.” So when we give our lives to Messiah (Christ), we are not only acknowledging Him as our “King,” but we are giving Him complete and total ownership over our lives. At that point, we are no longer the “owner” of our lives, He is. Interestingly, he also notes that the word “slave” (Gk. doulos) “appears 124 times in the original [Greek] text” (15). But “in almost every English version – going back to both the King James Version and the Geneva Bible that predated it,” the word “slave” has been translated as “servant” due to “the stigmas attached to slavery in Western society” (17). So in Mar’s response, she is acknowledging God as her “Master,” and she is agreeing to do what He has said. Slavery in ancient Israel and in the first century, C.E., was not like it was in America. In fact, if the Colonists had actually followed the Bible, there never would have been slavery in the United States. Biblical slavery was designed so people could pay off their debts. They didn’t have welfare or food stamps back then. So, for example, Jacob wanted Rachel to be his wife, but he did not have the money to pay for the dowry, so he indentured himself (or became Laban’s slave) for a period of 7 years, so that he could work to pay off the price of the dowry. This is how it worked in the ancient world. Both sides agreed to the terms, and once the debt (or amount) had been paid and the terms satisfied, then the individual was allowed to go free. America, though, violated this model over and over again. And if the servant [slave] shall plainly say, I love my master, my wife, and my children; I will not go out free. Then his master shall bring him unto the judges, he shall also bring him to the door, or unto the door post; and his master shall bore his ear through with an aul; and he shall serve him forever. So in the ancient world, the wearing of an ear-ring identified one as a “bondslave.” Even the word “Lord,” I discovered has “slave connotations.” Like most people today, I have used the word “Lord” in reference to Messiah [Christ] the majority of my life, but I used it just thinking that it meant “God.” I used it that way because I heard other people use it and how they used it. But the word “Lord” actually means “Master” or “Owner.” God is called “Lord,” because He created all things; therefore, He owns everything that He created. Just like any artist today, if they create something, they own what they created. But man and woman sinned, and by so doing, they rejected Him and His claim of ownership. And when they did this, they did not gain the freedom that they believed they would, but they were enslaved instead to sin and to the kingdom of darkness. This is why Messiah (Christ) came to die for us, so He could free us from sin, and bring us back into fellowship with God and to be a part of His kingdom. By His suffering and death on the cross, Messiah (Christ) redeemed or “purchased us” for Himself. So when we acknowledge what Messiah has done and we give our lives to Him, and we accept Him as our “Lord” and “Savior,” we are giving Him the “ownership rights” to our lives; and therefore, we do not belong to ourselves. We now belong to God. He now becomes the rightful Owner and Master of our lives, not us. Consequently, to say “This is My life, and I will do what I want with it” is a clear denial and recognition of God’s right of ownership. It is a belief or attitude that’s clearly represented by the Mark of the Beast. For I have come down from heaven, not to do My own will, but the will of Him who sent Me (John 6:38). Jesus (Yeshua) lived His life totally dependent and obedient to God in all things, and as a result, God rewarded Him by elevating Him to the second highest position of authority in all of creation. Only God the Father is higher in authority than He is now. Consequently, Jesus (Yeshua) is our role model on how we are to live our lives. We must ask ourselves each day: Are we seeking to be dependent upon God? Are we obeying God in all things? Do we seek His will in all that He taught from Genesis 1:1 to Revelation 22:21? Or are we seeking to do our will instead? Who do we see on the throne of our lives whenever we need to make a decision? The belief that we can fix whatever problems arise ourselves. Again, when we seek to fix our own problems, instead of looking to God and the leading of His Spirit, we are leaving Him out of our lives, and by so doing, we are embracing the attitudes and beliefs of the Beast. Am I saying that it is wrong to fix problems that arise? No, I am saying that it is wrong when we try to do it on our own and leave God and Jesus (Yeshua) out of it. We must learn to work WITH the Lord to get things done, not APART from Him. You may think your way will work best, but He may have a much better way, if we would only listen to Him. The belief that with diplomacy and compassion we can solve any conflict peacefully, whether at the local, national, and international levels. Again, am I saying that diplomacy is wrong? No, but even in diplomacy, we should seek the mind and will of God in a matter. God has insights into situations that we just do not have. He does not just look on the surface of the situation like we do; instead, He can see into the very hearts and thoughts of all those involved. He can also see the past, the present, and the future all at the same time, we cannot. Therefore, it is to our benefit to seek His wisdom and counsel in any matter. The belief that with the right time and technology, we can make this into a better world. This is a belief held by many, and although science has discovered and invented many wonderful things, God is the one who gave us the capability to make such discoveries and inventions. But He also gave us a free will, so we may choose what to do with that capability, either to use it to do good or to do evil. Science has been used to do good, such as to create medicines to heal, but it has also been used to do evil, such as create weapons of mass destruction, like chemical weapons or the atomic bomb. Why are these the attitudes that make one susceptible to receiving the “Mark of the Beast”? Because God and Jesus (Yeshua) are not a part of any of them; it is the attitude that people can face issues, problems, and fix their own lives without God and His Son. He (or she) will experience the wrath of God. He (or she) will be eternally tormented with fire and brimstone in the Lake of Fire. Obviously, the “Mark of the Beast” is something we want to avoid at all cost to not suffer the wrath of God, as well as experience the “Second Death,” which is to be eternally tormented in the Lake of Fire, which burns with “fire and brimstone” forever and ever. But what about the other mark? What is it about? THE MARK OF GOD OR “ANOTHER MARK”? What was this “mark”? Do we know what it looked like? No, the Bible does not tell us. What I am calling “the Mark of God” is placed on a person to keep them from experiencing God’s judgment and destruction. Although the “mark of Cain” and the “mark of God” is put on someone’s forehead to keep them from being killed or destroyed, the “mark of God” is put on someone to prevent them from experiencing God’s judgment; whereas, Cain received his “mark” while under God’s judgment. THE MARK OF GOD – TEFILLIN (PHYLACTERIES)? As Orthodox Jews, Jesus and His disciples would have also worn tefillin during prayer. One of the criticisms that Jesus had of the Pharisees dealt with tefillin (or phylacteries). Although the tefillin are not referred to as “a mark,” they do relate. God commands His people to wear tefillin on the hand [usually left hand] and on the forehead. Why the “left hand,” I believe it is because it is closest to the heart, indicating that our obedience to God must come from the heart. But as we read, the “mark of the Beast” is on the “right hand” and “forehead,” the mirrored opposite of what God has commanded in His Word. But why the “right hand”? Because it is furthest from the heart. So in commanding the “mark of the Beast,” Satan is trying to provide His own corrupt imitation of God’s command concerning the Tefillin. In this passage, we can see that God instructs an angel to go and place a mark on all those that “sigh and groan over all the abominations (sins) which are being committed in the midst” of the city. 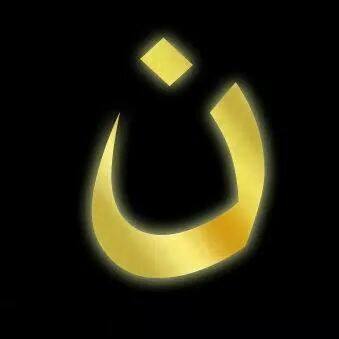 And as we will see, this mark is to designate who is to be saved. God’s judgment was poured down upon all the city, except for those who mourned over the sinful acts that was going on around them. I believe that this destruction is also a picture of the destruction and judgment that is coming upon all nations at the end of time when God’s wrath will be poured out on all nations. Could these two passages in Revelation be referring to the same “seal”? Could this “seal” be the same “mark” that was placed on the foreheads of the ancient Israelites that marked them for salvation? Those in Ezekiel who received this mark were “saved,” while everyone else was destroyed. Serving YHVH, the true God Serving Ba’al, the false god. These are just some of the choices we see discussed within the Bible, but the ultimate decision that each of us must make that’s also in the Bible is in regards to the person of the Messiah Jesus (Heb. Yeshua). To accept Him as our Lord, Savior, and King, OR do we reject Him as our Lord, Savior and King? This is not just a one-time decision, but it is a DAILY decision that we must make and live out each and every day. But there is coming to humanity, ONE FINAL CHOICE. Do we choose to follow God and the Messiah Jesus (Yeshua) OR do we choose to follow the Beast and receive His mark? When that day does arrive, what “mark” will your life reflect? What “mark” does your life reflect today? Does your life reflect the “mark of God,” the beliefs and values of God and His Word? Are you sighing and mourning over the sins and abominations that you witness around you each and every day? Or does your life reflect the “mark of the Beast”? Do you seek to live independently from God? Do you choose what you think is best, rather than God, and do you follow the popular saying, “If it feels good, do it”? And not only do you engage in sins condemned by God, but do you also give your approval to those who do them as well? For the Scriptures teach, “Though they know God’s decree that those who practice such things deserve to die, they not only do them but give approval to those who practice them” (Romans 1:32). The time of the Lord’s coming is quickly coming upon us. We do not want to wait until it is too late. We need to accept Jesus as our Lord, Savior and King, and begin working with Him to get our life right with God. But how do we know that we’ve been legitimately saved and we’re on the “narrow road” that leads to eternal life? I believe a sign that we have truly chosen and made God and His Son Jesus Christ (Heb. Yeshua HaMoshiakh) as Lord, Savior and King over our lives is that we share His heart in sighing and mourning over the sins and abominations we see committed around us each and every day. And by sincerely daily following Jesus (Yeshua) and His teachings found throughout the whole Bible, God will bless us as Jesus (Yeshua) promised by saving us from the coming judgment and destruction, the “Second Death” (Revelation 20:11-15), for “Blessed are those who mourn, for they shall be comforted” (Matthew 5:4).